Who is a painter? A craftsman who paints surfaces as a trade, or an artist who paints pictures, or someone who has painted, more or less seriously. Artist painters who paint surfaces to survive are twice painters. Amateurs can be excellent painters too, as Grandma Moses (Anna Moses) was. She took up painting in her seventies, after she had got arthritis. Rembrandt. 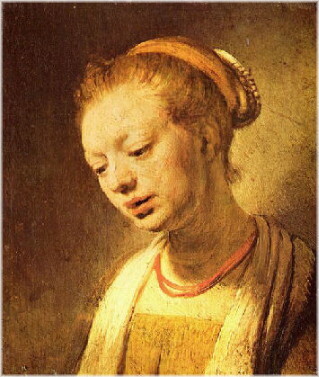 Portrait of a Young Girl.